Are you a Las Vegas-based flight attendant looking for work and able to keep a secret(s)? Do you feel positively about working for an airline that sort of doesn’t exist? Happen to have a Top-Secret clearance with the U.S. government, or think you could snag one? If so, the perfect job just opened up. Janet, a classified airline that runs commuter flights to some of the most secretive and closely guarded government facilities in the U.S., appears to be hiring a flight attendant. The job posting appeared recently on the website for AECOM, which operates a small fleet of aircraft out of a discreet but heavily guarded terminal at McCarran International Airport in Las Vegas. The airline operates a fleet of white Boeing 737-600s, with a prominent red stripe down the middle of the fuselage. It also likely operates a smaller fleet of commuter-sized turboprops, also white but with a blue stripe. 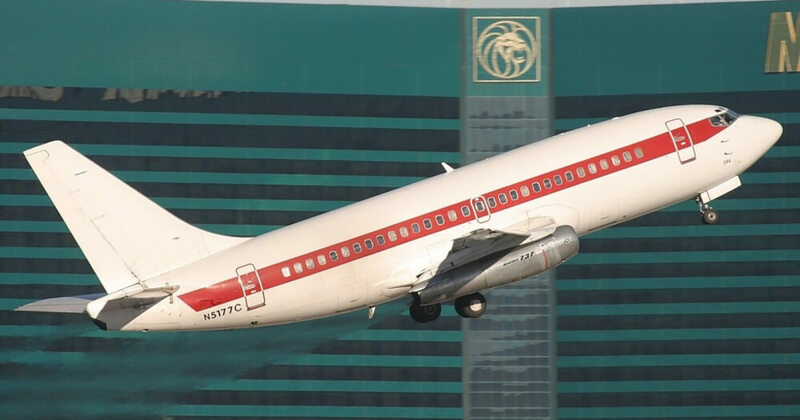 Passengers flying into or out of Las Vegas often can see such planes parked out on the ramp in the middle of the day — if they know what to look for. Where exactly they fly to, other than Las Vegas, has been the subject of debate and speculation. The jets have long been assumed (and have been seen on rare occasion) to be flying workers to and from an airstrip inside Area 51, as well as to several military bases and secret locations throughout the western U.S. But while the destinations may be classified, the prerequisites for the carrier can be seen on the job posting. If that sounds like your type of job, apply via the website posting.